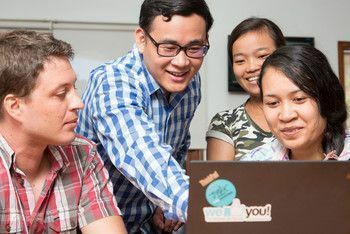 Web Essentials is a unique software development company in Phnom Penh, Cambodia. Our philosophy on work is simple. Happy, well-supported employees produce higher quality, more creative work. Better quality means our customers are happier. Satisfied customers means our employees get to reap the rewards of a job well done. Passionate about technology and collaboration? Apply today and join our team. Opportunities for growth for everyone from our most junior to our senior staff. Personal development and regular feedback from managers, peers, and mentors. Weekly technical trainings along with a focus on developing core soft skills and languages. In-house certified coaching for managers, team leaders, and interested employees. Dedicated time to explore a new curiosity or improve skills in our core technologies. Access to various MOOGs or online learning platforms, driven by staff interest. Not only is new staff paired with a mentor, every single employee has one too. 72 hours to ideate, design, and develop ideas that are generated from within the company. Internal and external trainings to build up employees to earn certifications in their field. We work hard to create a fun and open work environment for our employees. In turn, our employees enjoy coming to work and build up the essence of our work culture. We encourage ideas from everyone. We learn from our mistakes. We support each other when there are roadblocks. We express appreciation for each other. We are agile. Together, we design, build, test, and deliver the solutions that our clients need. Physical and mental health are important to us. We promote daily breaks, community meals, and sports. Together, we work hard on our client's needs. We celebrate the successes and we embrace the failures. Every person on the team is a part of this journey forward. Our staff are insured in the event of accidents or major health incidents. We care for each other inside and outside of the office. Having a family is a big milestone in life and we support our staff practically to transition successfully and happily. Through savings based bonuses and other bonuses for significant life events, we encourage financial responsibility. Financing is available for higher education. We like making fun inside and out of the office. 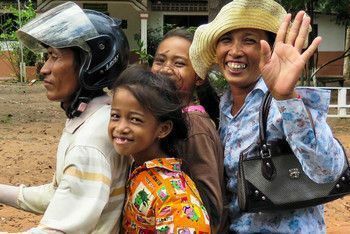 Ping pong, billiard, football, trips outside of Phnom Penh, BBQ, ... you name it.